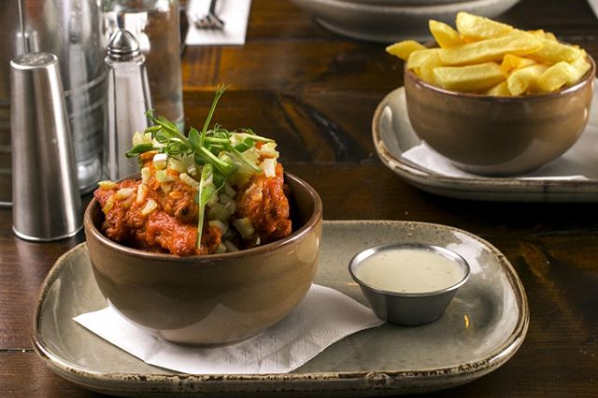 post-title A Bowl of the Best: 11 pubs to get finger licking wings in Dublin. 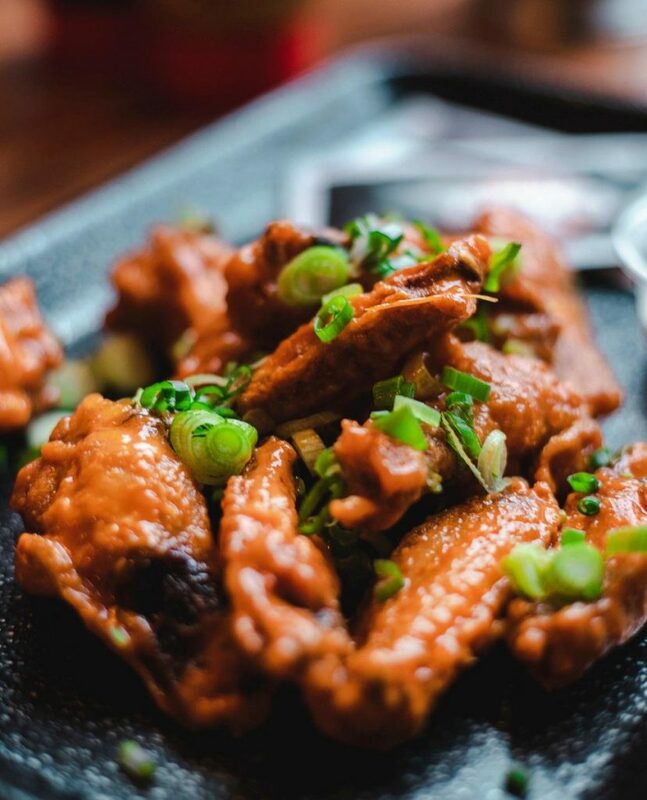 A Bowl of the Best: 11 pubs to get finger licking wings in Dublin. 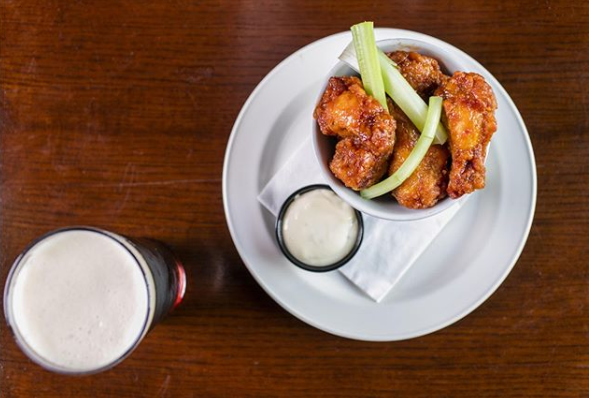 Home / 2019 / A Bowl of the Best: 11 pubs to get finger licking wings in Dublin. 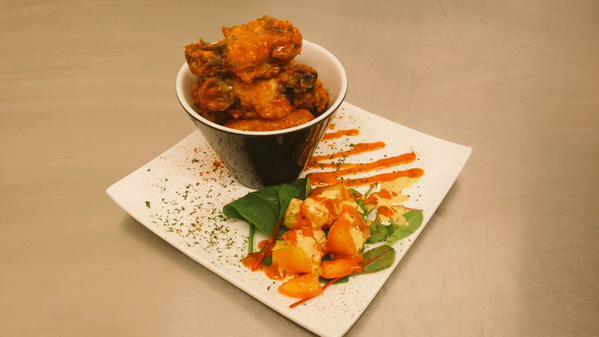 One of the most popular snack dishes in pubs around Dublin is the humble chicken wing. Coated in buffalo sauce, hot sauce, and served with celery and blue cheese dip, there’s not many things more satisfying (and messy) than a bowl of wings. If there’s any pubs whose wings deserve to be on this list, please let us know. Here’s a few pubs where you can get a bowl of the best. Camden Exchange have some mighty fine wings that come with a smooth blue cheese dip and some very welcome wet wipes. 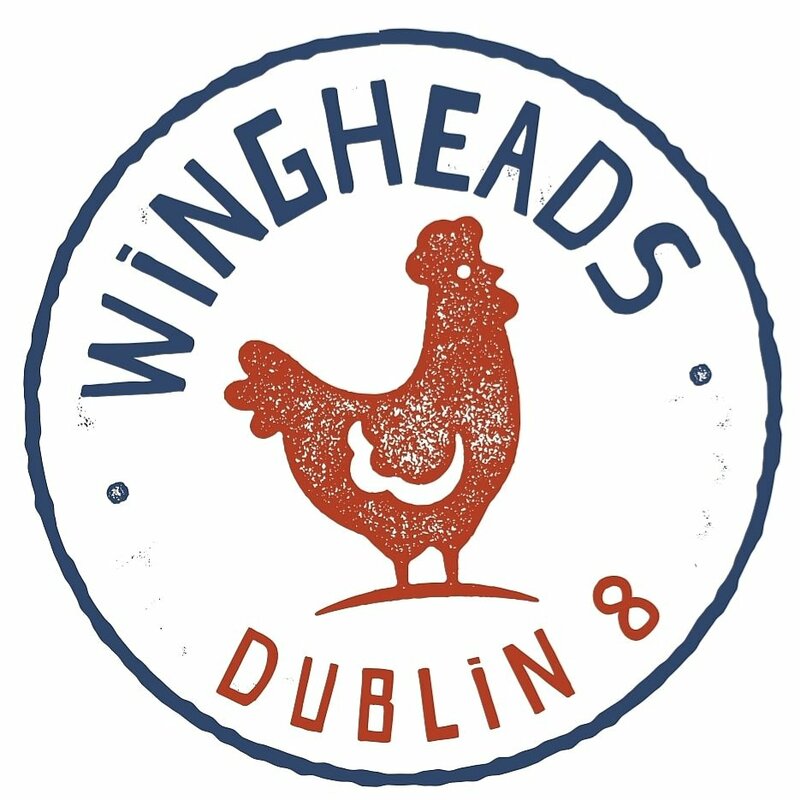 57 The Headline on Clanbrassil Street have invited in ‘Wingheads’ to take over their kitchen on Mondays and Tuesdays and offer up different types of wings and dips. They specialise in wings, so it’s worth checking out. Ruin Bar on Townsend Street has a wide selection of food, beer, spirits, seating areas, and screens. Comfort food like this goes well with live sports and they show it all. 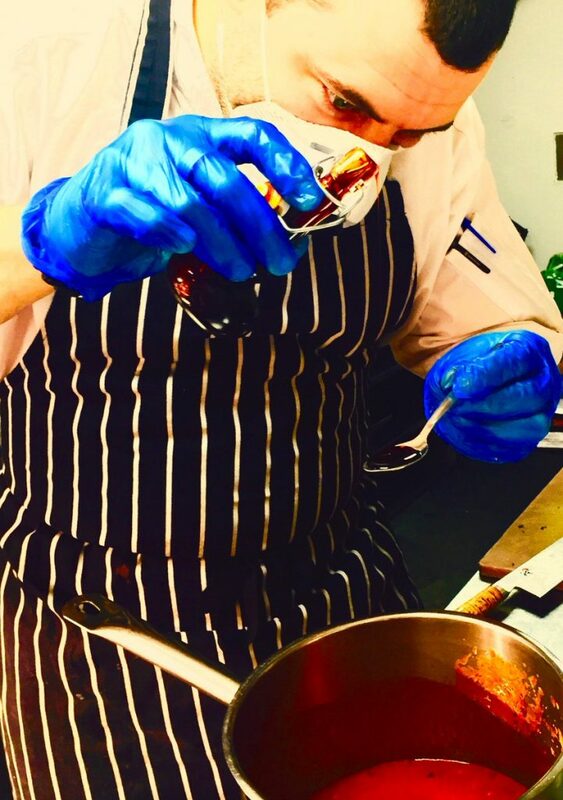 Their crispy wings are served with hot sauce and lime and coriander sour cream. The Bankers, for such a small pub, have a very extensive (but not too big) menu. They have some nice light bites to keep you going while watching a match, including their wings offering. 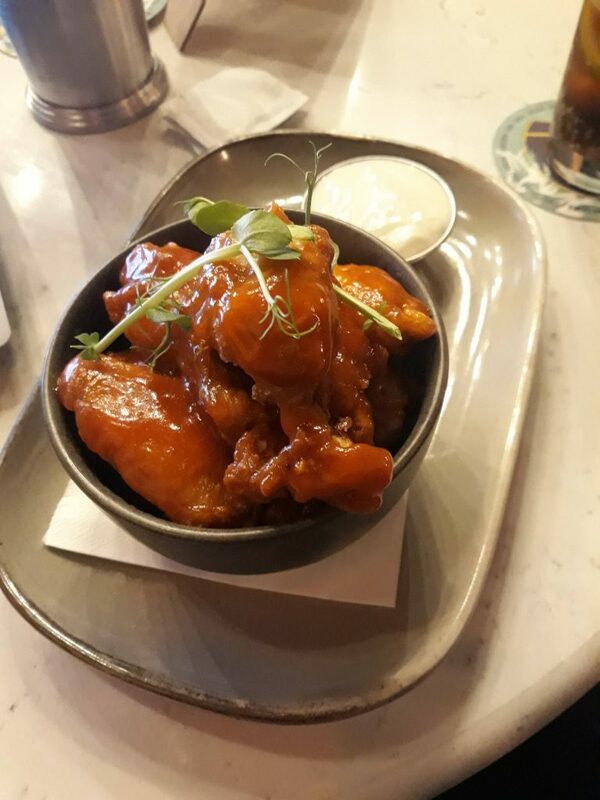 Bad Bobs make a very reasonable claim to have the hottest wings in Dublin, with different grades that you can climb. But don’t be a hero! 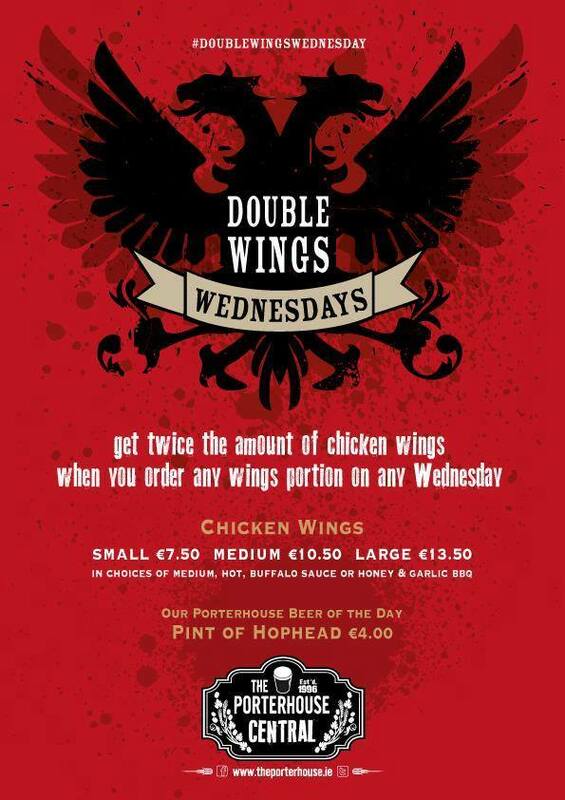 The Porterhouse Central are well known in the city for their excellent wings. On Wednesdays they have a 2 for 1 offer. The food in Bison is well known as a meat feast. Their wings hold their place on the menu beside all of the slow cooked BBQ classics. 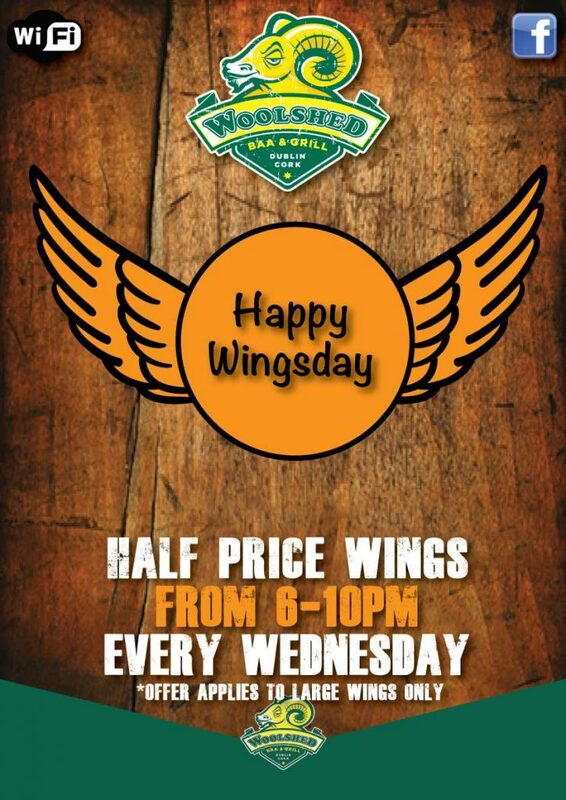 All of the Galway Bay pubs are known as places to get superb wings in good quantities. 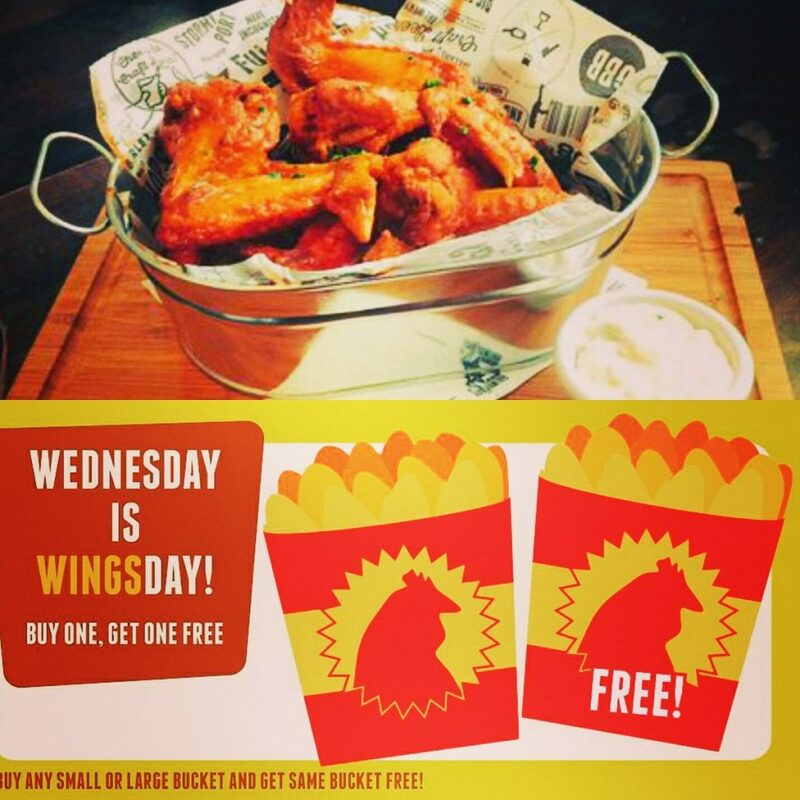 They’re another spot that do 2 for 1 on Wings Wednesdays. 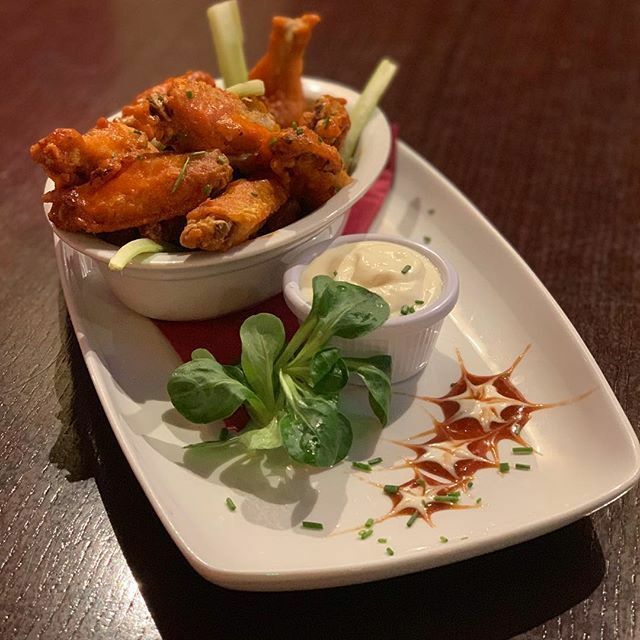 One of Dublin’s best sports bars, what better food to enjoy while watching any number of sports on any number of screens.